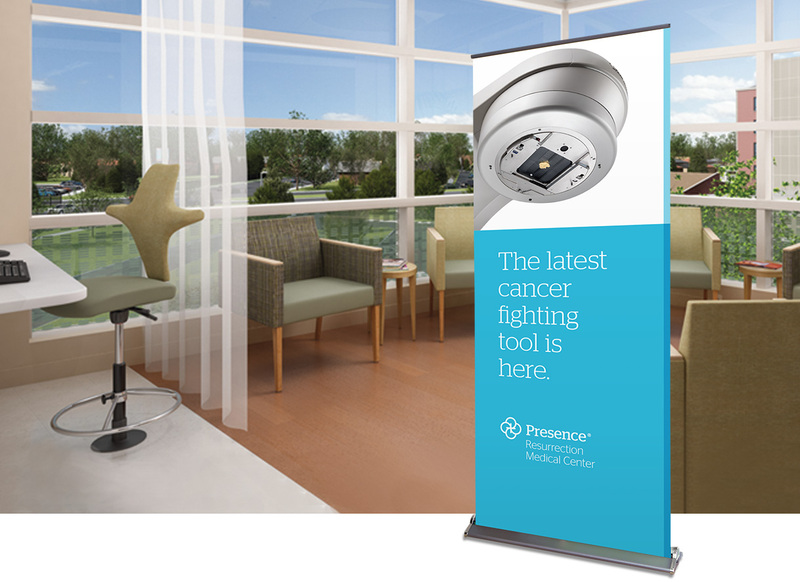 Presence Resurrection Medical Center has a premier cancer program on par with university hospitals, but lacked the collateral and campaign to support the brand. We were brought on board to do a ‘marketing makeover’ that would elevate the service line, give the program the visibility it deserved and reflect the quality of care provided. 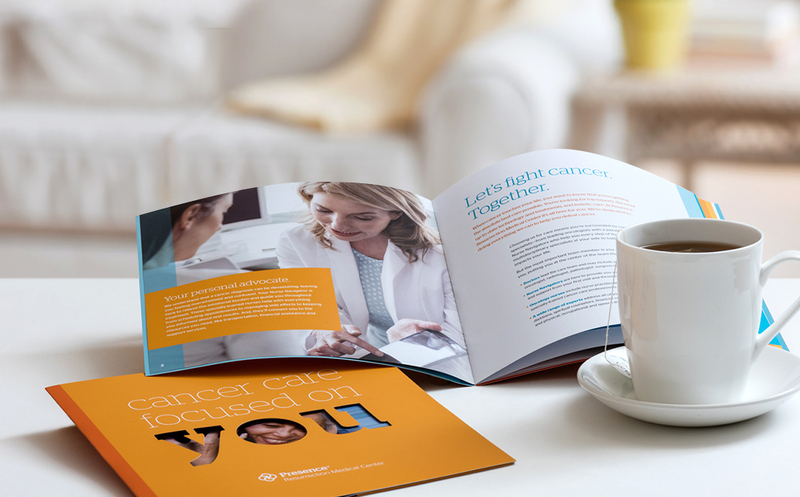 We conducted market research, strategized with the medical team and developed a cohesive set of campaign tactics. 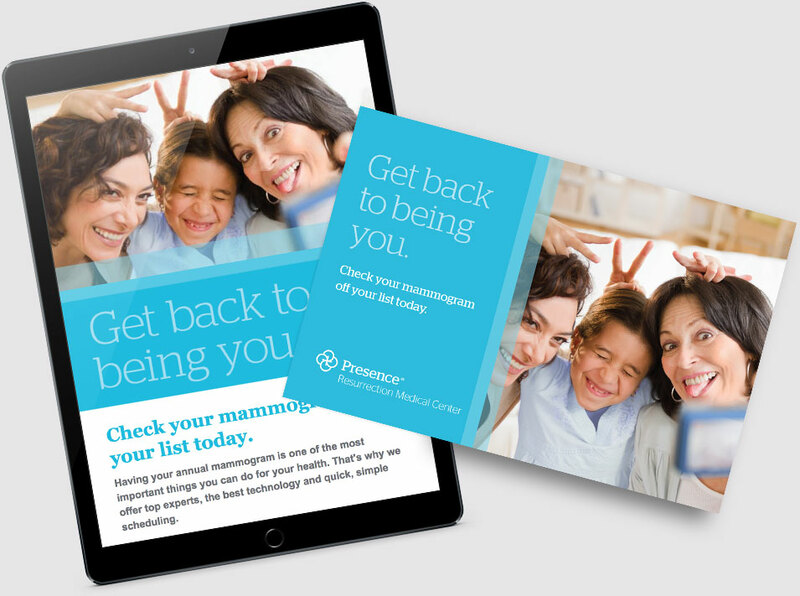 The goal was multi-faceted—to help consumers become aware of the exceptional care and expertise, as well as educate the public about risks and the importance of screenings. 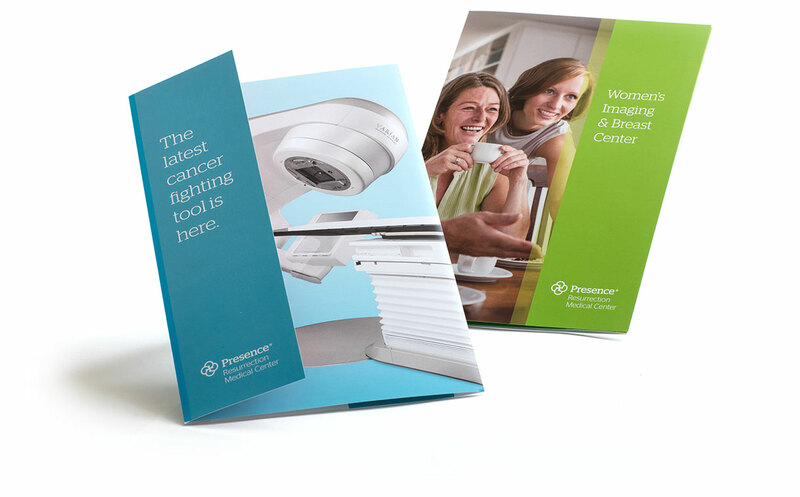 The result was a bevy of materials that showcase the quality and personalized care while illustrating the breadth and depth of services. 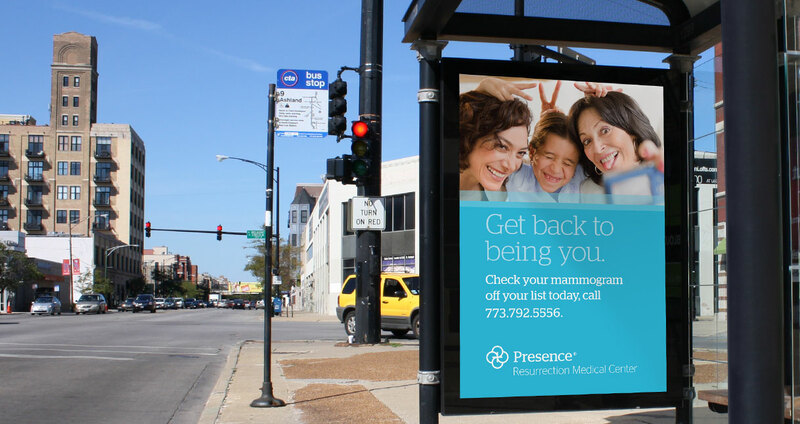 Through a hyper-local focus that included digital ads, direct mail, outdoor and a Chicago Tribune insert, we developed a drive to mammogram screenings that also promoted the Women’s Imaging & Breast Center. The results were extremely positive with a dramatic increase in the number of mammograms scheduled.